Agartha Market is one of the lesser talked about Darknet marketplaces in the industry and I recently stumbled upon it; how could I not scribble this Agartha market review then? If you’re a regular reader over here you probably already know that we do not state at any point of our reviews if you should, or shouldn’t go with any platform or app being reviewed. Rather we simply bring out the platform’s features and problems out with all transparency and then put forth our two cents on the platform, while leaving the final decision and rating of the platform up to you folks. So let’s get started with this Agartha Market review then? Payment Modes: BTC, ETH, DASH, XMR, LTC, VTR. Total Products: 136 Officially (17 actually available). The above summary should form a pretty decent image of the marketplace for you, now let’s get you a deeper insight into this Agartha Market review. By “Who” I mean to denote the technical knowledge or computer-skills a person needs in order to be able to order such rare items such as Drugs and documents off the Dark Web. Like most other Darknet Markets, they have a top-bar, a left-sidebar and then the centre-screen. The top-bar is like the Main-menu for the site, with all the important links which can be used to reach the different parts of the website, such as Profile, Wallet, Help and so on. The left-sidebar is completely clutter-free and holds no useless information or tabs, there’s just one “Categories” section which holds all the different product categories that the marketplace offers products in. For those who’re users of Cryptocurrencies other than Bitcoin, it also shows the price of 1 Bitcoin in context to those other Cryptocurrencies helping them judge the product-prices better. And then it also provides the option to change the display-currency altogether, so that the prices of the products are displayed in a currency you understand (such as USD, INR, British Pound, Russian Ruble etc). The centre screen is divided into a nice table, showing the name, price, name of the vendor, shipment source and potential destinations. That’s just about it. My verdict? Any 5th-grade kid with a social media profile is more than qualified to understand the marketplace. Does it Require Registrations? If yes, How Anonymous is it? 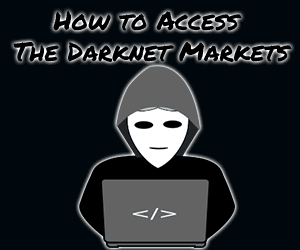 Like almost all other Darknet Markets, Agartha Market too requires registration not because it wishes to track you, but so that it can keep the orders organized, and assign it to profile and users for tracking, support, payments and everything else. All of the information asked for, such as username, password, PIN, Login Phrase can and should be completely random, with absolutely no connection to your real life name, address, interests or anything else. Hence no anonymity is breached and nothing can be tied to you. Then again, it has a strict no data storage policy, meaning vendors ought to delete all user data (such as Profile name, payment method and everything else) after a successful transaction. The Hidden Truth about Agartha Market Products. Being a Darknet Market, it obviously sells products which are either completely illegal or strictly controlled otherwise. Taking a look at its product-categories it can be safely stated that it primarily is a Drug-dominated Darknet Market, although other products too are allowed as indicated by the “Digital Goods” and “Services” categories. When manually checked it was found that despite showing 34 products on the left-sidebar, Cannabis only had 5 products, with the price-range for Cannabis being ฿ 0.011217 for the cheapest product, and ฿ 0.420624 for the highest. Stimulants on the left-sidebar showed 26 individual listings, but only one product in the category was actually found and it was being sold for ฿ 0.091112BTC (USD $350.00). Then there’s Psychedelics, according to the sidebar it should get us 24 listings, but again only 4 products were found in the category with the most expensive being sold for USD $45.00 and the cheapest for USD $19.00. Pills too officially should have 13 products, but actually only accounted for 1 of them. Dissociatives on the left-sidebar have 11 listings but in reality only 1 for USD $35.19. Then there are services, with 10 listings on the sidebar but only 5 actually being available, the highest service goes as high as USD $100,000 while the cheapest being USD $600. Finally, there are Digital Items, these have no listings at all despite showing 5 on the sidebar. So truth be told, out of the 136 individual listings being shown only around 17 could be actually found on the platform! The actual numbers are obviously pretty low, considering how it’s a third-party marketplace and on top of that it misleads users which is another reason why I’d rate it 1/5 on its products’ for this Agartha Market review. How to Place an Order on Agartha Market? This section would help you when it comes to placing orders on the marketplace and get an insight into how easy, or hard it is doing so. The first step is obviously finding the product you need, either the search bar on the left-sidebar, or the categories section can be used, just like searching for products on any other E-commerce website. Once you do get to the product, simply click on it to reach the product-page, this is where more details about the products are made available. Simply click on the “Buy” button. Specify the order quantity, method of payment and shipping method wanted on the next page, and click on Proceed. Finally, fill out the mini-form asking for your shipping information on the next page, and enter your security PIN (set during registration). If you have sufficient funds, your order is placed instantly. If not, it would ask you to add funds. In that case, click on the “Wallets” link on the top bar > then choose the currency you wish to deposit funds for > click on “Get new address” > send funds to this address. Note that the minimum deposit limit is 0.0005 (currency value) for any currency you deposit, so it’s 0.0005 BTC, 0.0005 DASH, 0.0005 XMR and so on. Also, after generating a new address, users need to wait atleast 7 hours before another address can be generated. It’s pretty considerate with the currencies it accepts and the list includes Bitcoin, Ethereum, Dash, VertCoin, Monero as well as Bitcoin Cash. A large part of how I judge a marketplace depends on its security features, the same holds true for this Agartha market review as well. Agartha has 2-Factor authentication when enabled it’s an additional firewall on top of the normal password. A PGP encrypted message needs to be decoded using every user’s personal, secret PGP private key in order for the account to be accessed. Can be reached from Profile > Change Settings. Multisig transactions are available as well, they make it mandatory for atleast 2 out of 3 parties to sign a transaction before funds can be moved, making sure no party can scam the other, without the approval of atleast 1 other involved party. The three parties being The Marketplace, the Vendor and the Buyer. The security PIN is another layer of protection required before a purchase can be made, or account information changed. This makes sure even if the account is compromised, PGP keys too, funds still can’t be moved, or account can’t be locked/changed without the PIN. The Login Phrase is a special phrase set by you stored on the Marketplace’s database, and is displayed everytime you login. Phishers may clone the marketplace layout and try to scam you, but they do not get a hold of the site database, hence on a fake phishing website this phrase isn’t displayed indicating you’re not on the official marketplace. Vending on the marketplace needs a 0.02 BTC deposit, a kind of security deposit, or what’s officially called the vendor-bond. The Vendor transparency is a security feature I believe for the buyers, the level of information shown about a vendor before they make a purchase. In my personal opinion, additionally, the number of disputes and rating on other marketplaces is something that certainly could provide more insights into a vendor. How Good is the Search Functionality on Agartha Market? The search functionality is important simply because the more filters and better options it provides, the easier and faster it’ll be for users to get to their products. This is an aspect Agartha is a major disappointment, there’s only a simple search text-box, with the only filters being Price low to high and vice versa, Recent and Country. In case the primary URL isn’t working, here are some Agartha Market Alternative URLs you can use. Search Functionality could be improved. My final take for this Agartha Market review? There’s ample scope for development. more products, more vendor transparency, better search functionality and so on. But talking about what “is” available, such as the easy UI, or security features and the handful of products, it may not be the first choice for many but when options are limited it may still pose for a viable option. Those are just my thoughts, do pen down (or type?) yours about this Agartha Market review as well as the marketplace in the comments.